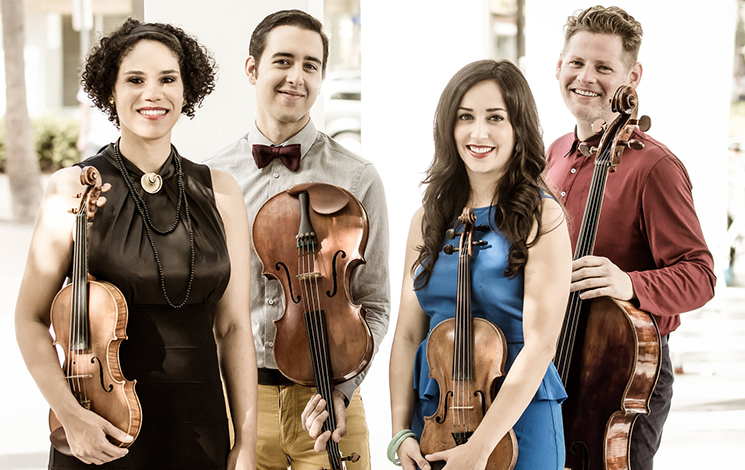 Hailed by the New York Times at their Carnegie Hall debut as “invariably energetic and finely burnished…playing with earthly vigor,” Catalyst Quartet is comprised of top Laureates and alumni of the internationally acclaimed Sphinx Competition. Known for “rhythmic energy, polyphonic clarity and tight ensemble-playing,” the ensemble has toured throughout the US and abroad, including sold-out performances at the Kennedy Center, Chicago’s Harris Theater, Miami’s New World Center. The quartet has also appeared with the Bogata Filharmonic, the Sphinx Virtuosi, and the St. Paul Chamber Orchestra.